the pink clutch ...: Rain makes everything GREEN!!! I love the color green. There is not a shade of green I could not make work. It's such a clean and happy color don't you think? All the rain today and more on the plate for tomorrow makes me think of how green and lush the grass and plants will be. Oh ... the amazing colors I will be greeted with after the rain!! Here are some photos I discovered on the new Google ... aka Pinterest! Seriously I think I go to Pinterest to hunt for things more than I do Google now. Truly ... its a problem! 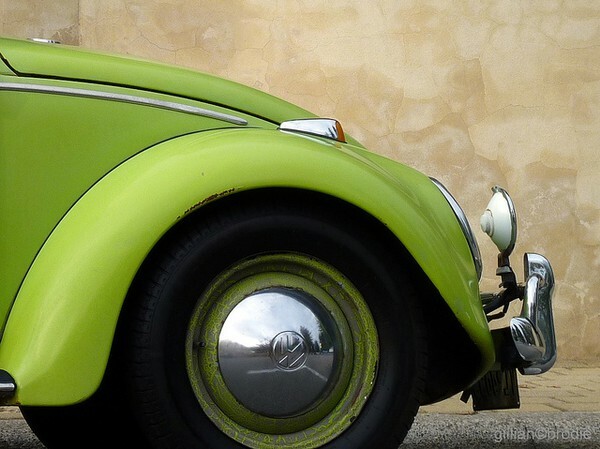 I would love to drive this beauty ... the kids and I would be playing punch buggy for hours! Look at that color, the knob, the details ... I heart! 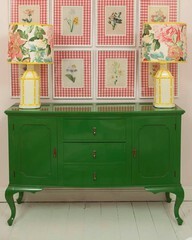 I want to paint the dresser in the basement this fabulous color ... or maybe get my painter to make it happen!! That is probably the better plan. 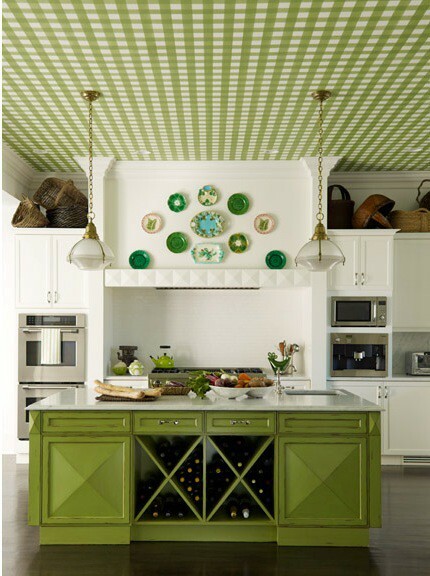 Really I am not sure what to talk about first ... the plates, the green island or that to die for ceiling!!! 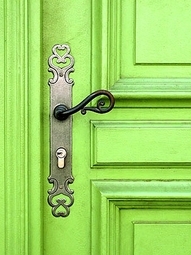 This might be the perfect color green! 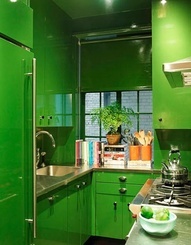 I think the color in this kitchen is brilliant! Found this photo on the bestie's Pinterest page ... 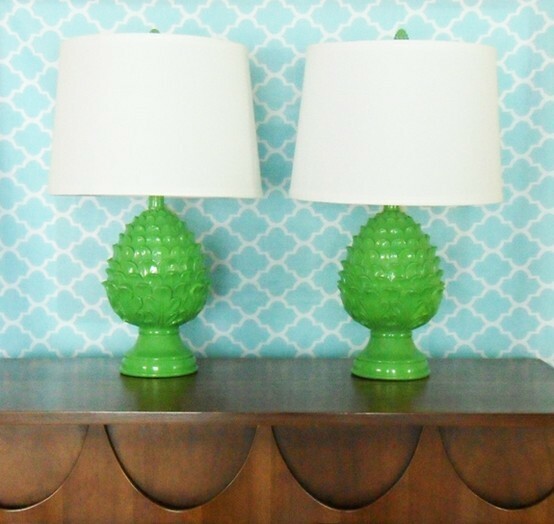 I have these lamps and ADORE them!!! I hope I brightened your day!